Cape Town - Mamelodi Sundowns will be looking to bounce back from their CAF Champions League elimination at the hands of Congolese side TP Mazembe when they face Mpumalanga Black Aces at Mbombela Stadium. 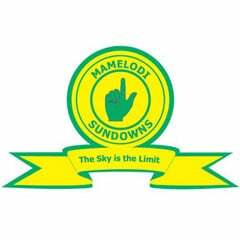 Sundowns are not accustomed to losing, as a 1-0 defeat to Bidvest Wits in March was the only time they haven't won in the Premiership in 2015. They have also scored 10 without conceding in their last three matches since, meaning that Pitso Mosimane will be confident of keeping second place, which brings qualification for next season's CAF Champions League. Black Aces have won only twice in their last 15 Premiership matches, against AmaZulu and Moroka Swallows. But a 1-0 Nedbank Cup victory over Jomo Cosmos in their previous outing will have boosted confidence, and with the relegation places not far off they will be very motivated to get something from this game. Black Aces have four players at risk of a suspension if they pick up another yellow card, so Dino Ndlovu, Miquel Raoul Timm, Skhumbuzo Doctor Mampuru, and Zamuxolo Ngalo will have to watch their step, as will Cuthbert Lifasi Malajila and Khama Billiat for Sundowns. Neither club has reported any new injuries.